Instead of running gold and small arms in exotic foreign ports of call, we will be settling in for a regular paycheck delivering domestic passengers and cargo. Was about to sign on with Transocean but got a call from TWA with a slightly better salary and more stable routes. Hmmmm....cargo. I might have a certain twin-engined cargo hauler that could fit the bill. Pan Am was chartered to fly some not so bigwigs around on a domestic fact finding trip. So, they pulled out one of their recently retired Boeing Stratoliners and advertised for someone with B307 hours as all their former Stratoliner pilots were busy on the line. As I've got a few hours in a 307 cockpit and the pay is good, I guess I'll be flying Clipper Comet for a while. Funny you should mention that. I'm in the market for a new cargo hauler. The ol' C-46 is in the shop after that last really bad landing. And I'm getting tired of listening those noisy passengers always screaming in terror back in the cabin. I'm starting to think they're not appreciative of my style of flying. 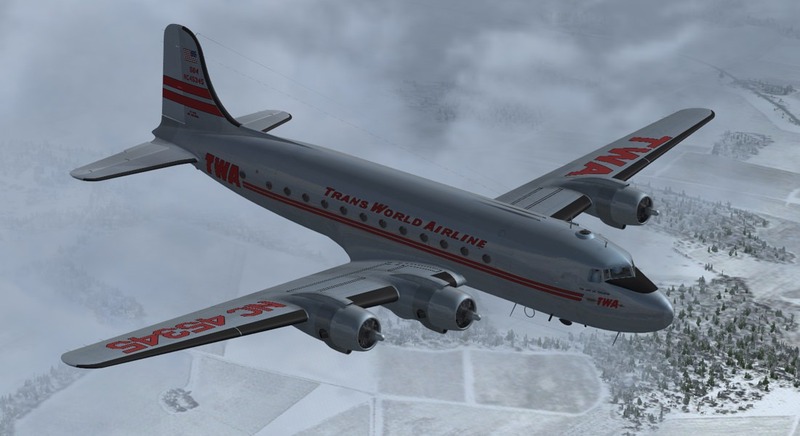 Dudley and I will be flying the DC-4 AA. Sometime along, as Willy noted, might change over to a twin for WAL. Didn't expect any snow in south Texas as it is a rare occurrence. But there we were fighting through a blizzard on final into San Antonio...phew! Apologies to 1960s Chevrolet advertising jingles. Propliner heaven on the ramp in Abilene. Worked in a night flight to El Paso. Lost sight of the main group at first on the Bermuda tarmac. Wow! 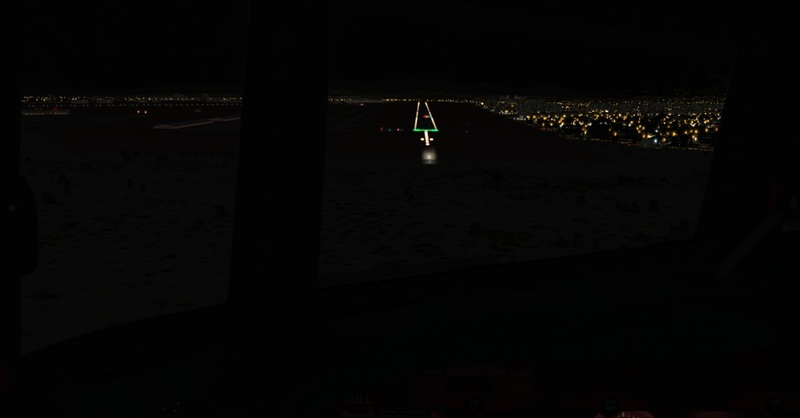 had a nice flight until the bloody DSL decided that it didn't like flying into EL PASO, and shut down! Well anyway, things happens! Went ahead and finished the flight without the DSL, couldn't figured what happened to the rest of the flight, hehe, and I was awake! Will be leaving EL PASO and head toward ALBUQUERQUE (KABQ). Me old stomping grounds. Should be a nice flight, the course is right up the Rio Grande River. The picture is of all planes getting ready for take off to EL PASO. Last edited by Taco; December 12th, 2017 at 12:21. The flightplan took us over White Sands and then on into Albuquerque. Due to "somebody" having took off without checking his fuel level, I'd like to submit some Flight 19 methods of improving aircraft fuel economy. 1) Fly fast enough that you stand a better chance of making it to destination before you run out of fuel. 2) Go High. This gives you more time to fall should you run out of gas. 3) If possible, head into the wind to help with lift and thus sustain your flight farther. 4) Exhaust flame from full power settings provide extra thrust to help push the aircraft along. Willy, great information, me think! The picture show Dudley and me self making final turn with the AA DC-4 into the Duke City, called this because the city was named after a Duke of Albuquerque, (different spelling for the Duke's real title.) Oh well, don't fret, it took me awhile to figure it out. Enough of the History of Albuquerque. This was a grand flight as we fkew over the White Sands area without getting any missile sent our way, and we also crossed the arear near the Trinity site where the first atom bomb was tested, hehe and no effects of radiation affecting us. New Mexico is truly the Land of enchantment! Cu all later. Rob, along with a lot of other folks we have been to the wreck site, but a lot of wreckage has been moved in order, as I under stand it, so the folks riding on the tram won't see the wreckage of the crash, meaning the actual site, but the wreckage is still there but placed where the folks on the tram can't see it. strange huh. 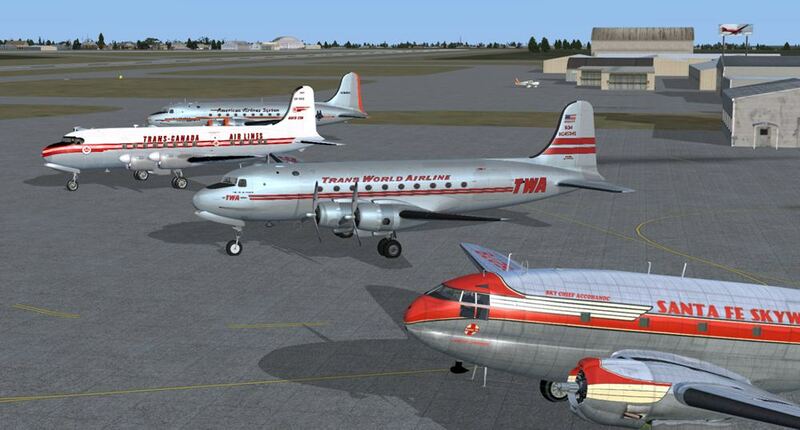 I had some serious landing issues with the C-46 at KSAD, so it's back to the Boeing S307. The Stratoliner gets a lot of toughness from it's B-17 heritage which can come in handy in "interesting" situations. Hi, fool you! back again. Well, shucks, here we go again, we took off from Albuquerque KABQ to Safford, AZ. KSAD. A very good flight flying up and around the mountains in Western, NM. and Eastern Arizona. But as usual we all made it, but Mr. Willy had some problems landing as with the rest of us trying to keep the air speed down. No tailwind was showing for runway #30, but you could have fooled me, or as was mentioned that some one greased the glide pass! A little history, south of Safford is the old Fort Grant and it was alleged that Fort Grant was the first place where Billy the Kid claimed his first victim, but you can never tell about the legends around about the bad guys of the old west. A personal note further south is where my Great-Grandparents homesteaded way over a hundred years ago. thanks for watching. Hello and goodbye until tomorrow, one last picture. All parked and ready to go this day. All times are GMT -8. The time now is 02:29.